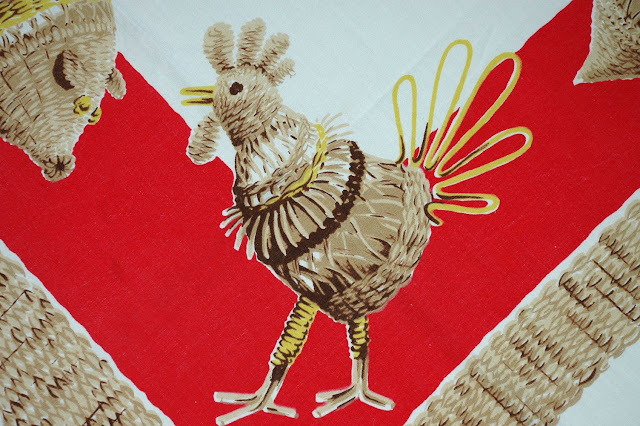 Recently I came in to possession of some bright and delightful vintage tablecloths from the 1940s and 50s. The imagery is charmingly retro that would still work today. These vintage tablecloths have the typical spot here and there, and maybe a pin hole or two, but something you'd expect after all these years. This chicken tablecloth is one of my favorites! 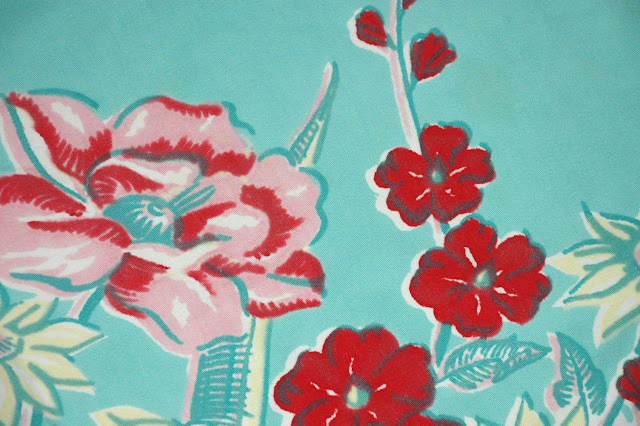 The tablecloth below has a retro Hawaiian feel to it and I love the teal and rose colors! 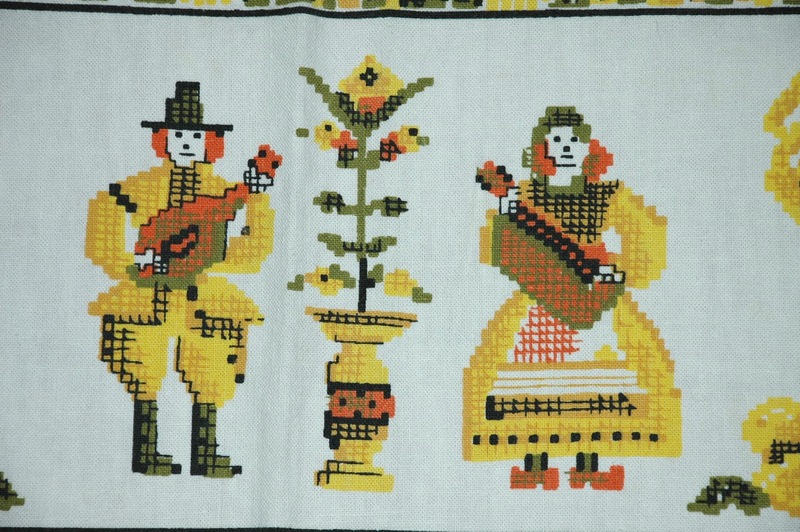 And can you guess the theme of this next tablecloth? 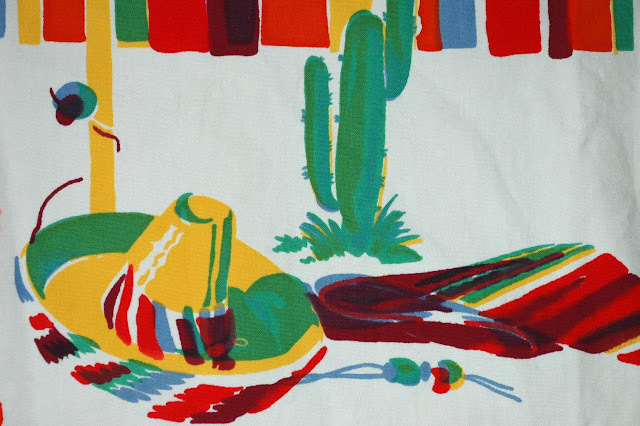 Perfect for a Tex Mex barbecue and the colors are BOLT, this tablecloth doesn't have much fading at all, really crisp. 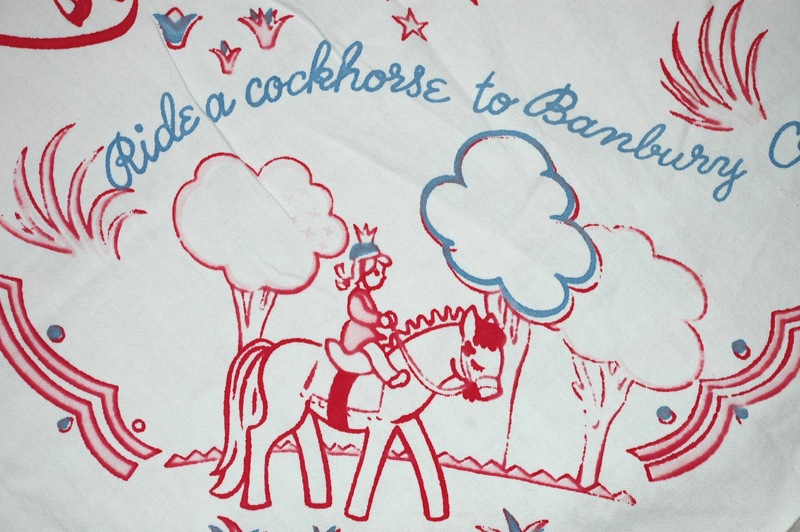 There are a couple of Colonial themed tablecloths including this one. This vintage tablecloth is printed but has the appearance of embroidery. This tablecloth would be perfect for a little girl's tea party, it's covered in dreamy little girl activities including this pony ride. These are just a few examples of the terrific vintage 1940s tablecloths currently on hand. You can see these and others in my Etsy shop. They make a bright addition to the kitchen breakfast nook and the imagery is just as charming today as it was when they were made.